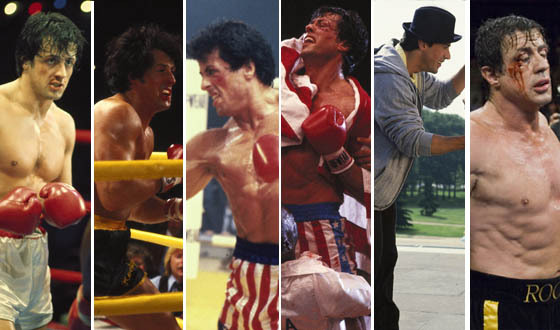 Yesterday I sat down for all six of the Rocky movies in a row, because what else am I doing on a Saturday, right? Watching the arc in one sitting like that, it became clear that the series is as much about the titular character’s relationship with Adrian as it is about what he does in the ring. She carries an emotional weight that resonates throughout the ten and a half hour running time, despite the fact that (*spoiler alert*) she dies in the timeline before the opening credits of the final entry. Sure, the narrative shifts from the gritty reality of episodes one and two; to the almost comic book stylings of three and four; to the ‘black sheep’ of the family in episode five; before finally returning to its roots with the melancholy and sentimentality of six. I know it is not perfect, even by the most elastic of standards. It is not the most consistent movie series ever produced either, and it’s perhaps a little too formulaic (in its entirety) to be considered classic. 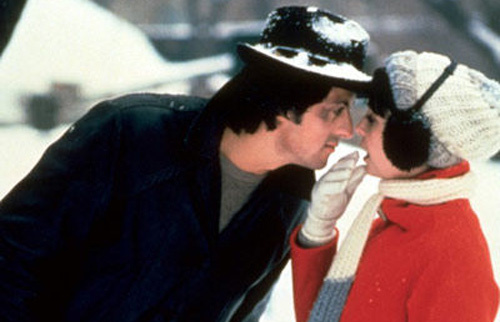 But the love between Rocky and Adrian transcends its pugilistic background to become one of the great romances of modern cinema. We see Rocky falling in love; we see him being in love; and despite the ups and downs along the way, that never changes. It is telling that after all the bloodshed and beatings that have come before it, the final shot of the final movie isn’t aggressive in any way, or filled with blunt-headed male bravado – hell, it isn’t even about boxing – but it is instead a quiet moment between a man and his memories of the one thing he loves above all else. This entry was posted in Reviews, Social and tagged Rocky on October 12, 2014 by Brian G Ross. He is a retired baseball player. Oh, you knew that? I didn’t know that before this book came out in 1999. Ask me to name as many baseball players as I can, and I promise, I don’t even need two hands. That is in no way King’s fault, but this short novel will read a lot better to fans of the sport, and even to those who have only a passing knowledge of it. Still, most folk across the pond will be fine with the references, and the psychology of it is still intact, despite the (admittedly, only infrequent) lengthy baseball paragraphs. Some of King’s greatest pieces – The Mist, The Langoliers, Rita Hayworth and Shawshank Redemption, and The Body – have been novellas, so I had high hopes and expectations for this one. Unfortunately, it doesn’t reach that lofty standard and ultimately – even as brief as it is – this feels a little stretched. This entry was posted in Reviews and tagged baseball, review, Stephen King, The Girl Who Loved Tom Gordon on November 30, 2012 by Brian G Ross. One day, Pixar will produce a movie which is not very good – I’m sure of it – because for every Billie Jean there is a Human Nature. But I guess I will have to keep waiting, because Brave is not that movie. Pixar has been riding this exceptional wave since Toy Story, back in 1995, and every one of its twelve subsequent outings has been (in my opinion, of course) at least very good, and sometimes, fantastic. When it comes to animation, Pixar has no equal. 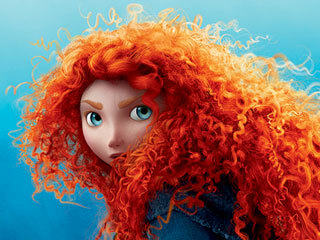 I had a few reservations going in to Brave. Being set in Scotland I was a little concerned that perhaps the accents wouldn’t work, or the locations would seem wrong, or that too much time would be spent making the requisite parochial jokes, but I needn’t have worried. Pixar are far too professional for all that stuff. The primary voice cast (with the notable exception of Emma Thompson) is from these shores, so there can be no accusations of: “why are there a bunch of Americans trying to speak Scottish?”, as often does happen; and the ‘scenery’ is so good you would probably know it was meant to be Scotland anyway. The story does dip a fraction, halfway through, when the plot takes a slightly unexpected (and magical) twist, but it is handled rather well and it never gets boring, and – as is standard with Pixar movies – there is always enough to entertain both children and adults alike. Merida is a fine, flame-haired heroine too… and guys, don’t let the female lead put you off – she’s quite cute in her own way. You know, for a redhead. This entry was posted in Reviews and tagged Brave, Pixar, Toy Story on August 16, 2012 by Brian G Ross. There is a review of the paperback anthology Damnation & Dames over at Australian site, Thirteen O’Clock. All in all it’s pretty positive, and my contribution Hard Boiled gets an all too brief mention as well. I think Damien Smith is probably right too – I did only touch on the paranormal stuff. It’s subtle, but there is nothing worse than a writer who wants to hold your hand every step of the way. Mark Webb also posted some nice words over on his blog. No mention of my tale in this review, but I’m going to go with the no-news-is-good-news bit, just in case. Check them out if you get the chance. This entry was posted in Reviews on June 19, 2012 by Brian G Ross. 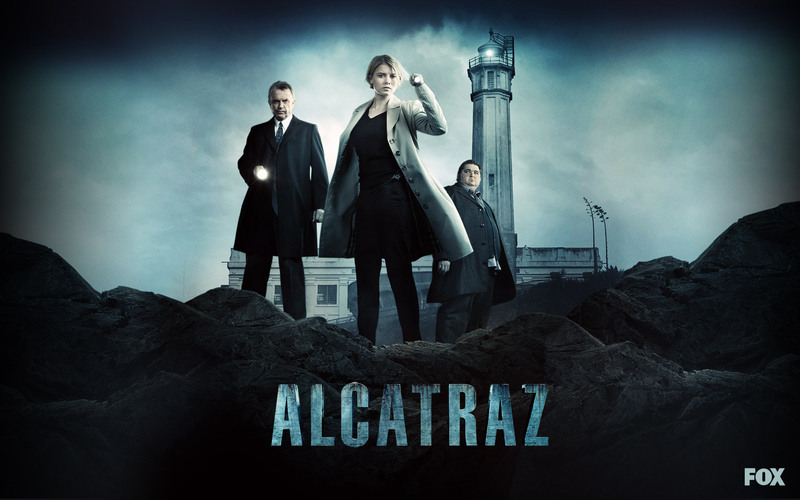 When I first heard about Alcatraz I was sold within minutes, partly because JJ Abrams was involved, but mostly because the sci-fi premise was so intriguing. 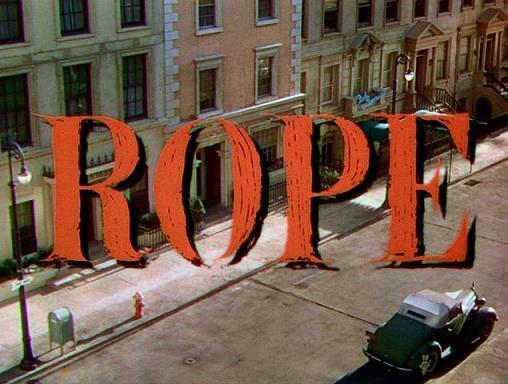 In 1963 – as the penitentiary is closed – all the prisoners mysteriously disappear from the island, only to show up again in modern-day San Francisco, without having aged, committing those old crimes all over again. Interesting stuff, right? Sarah Jones plays the main protagonist – a cop who is tasked with tracking down the ’63s’, as they come to be called. She is moderately pretty to look at, and knows how to hold a gun, but she is instantly forgettable. She has a backstory and that great thing called motivation, but there’s no real meat in her role. Jorge Garcia plays a doctor – a writer – and the leading authority on all things Alcatraz, but unfortunately he usually just comes off as a poor cousin of Hurley – the character he played in Lost. I guess that’s not such a bad thing, but he seems uncomfortable in his new shoes, and by the end of the run, I still don’t really buy him as a doctor. Sam Neill plays the guy in charge of the operation, and I suppose he lends the production a little gravitas. He is staunch and dependable, but he never does anything he wouldn’t have picked up in Acting 101. Just a meal ticket for him then. But the primary problem with the show is not the actors, but how formulaic everything is. Every episode follows the same path, and three episodes in… I’m already bored. It’s no wonder the show was cancelled after the initial run of thirteen. Sure, there is an over-arching story about a mysterious door, and some keys, but it’s not all that exciting when we get there, and we don’t really care what’s behind the door anyway. It reminds me of some of the plot dynamics of the initial two seasons of Lost, but done with much less flair. Not the worst thing on TV lately, but you could do a lot better. This entry was posted in Reviews on June 8, 2012 by Brian G Ross.